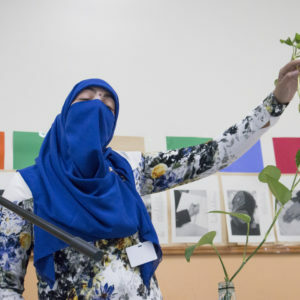 Create Change is our artist development program, designed to connect communities and artists in meaningful ways. We envision building a corps of artists inspired and equipped to work alongside everyday folks in creative endeavors right where they live. 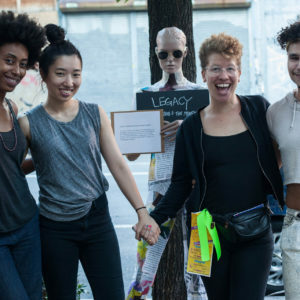 Over the long-term, we intend to foster and support artist-leaders who are empowered by, committed to, and fully conversant in community-attuned art practices. This year, we are building our Create Change artist development program around the theme: Abundance. 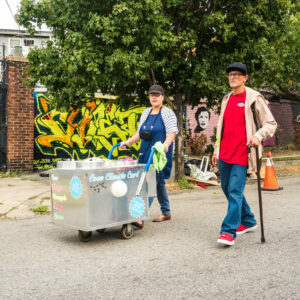 The Laundromat Project offers its Create Change Fellowship program for artists and creative individuals who may or may not have experience with community-based projects and are interested in developing or deepening collaborative and socially-engaged creative practice. Fellows need to be from one of the five boroughs to attend all program activities between April and October. 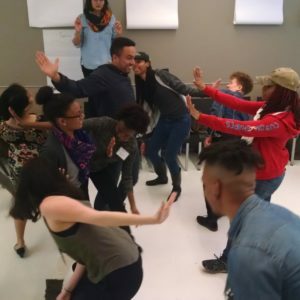 The Residency is for artists of color with a demonstrated record of developing community-based public art projects who are comfortable engaging their neighbors in participatory, socially-engaged work. Residents should live in the neighborhood where they plan to work: Bed-Stuy, Harlem, or Hunts Point / Longwood.